Home runs by Mike Napoli and Pablo Sandoval, combined with a good outing by Clay Buchholz, helped the Red Sox beat the Blue Jays 6-3 on Mother's Day at Rogers Centre. 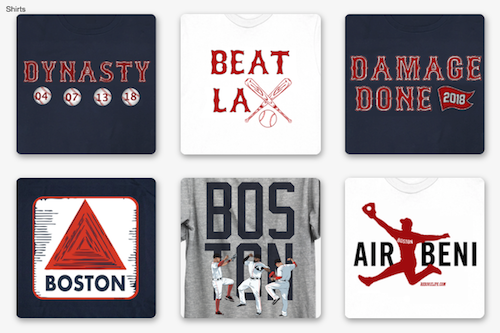 Boston scored four times in the top of the first inning on an RBI ground out by Dustin Pedroia, and Napoli's 3-run blast off Toronto starter R.A. Dickey. Sandoval's 2-run homer in the top of the fifth completed the Red Sox scoring. 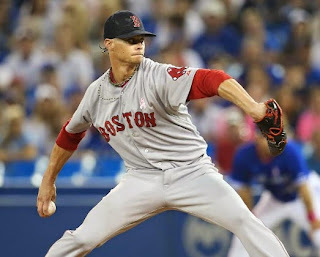 Buchholz (pictured) went 6.1 innings; he was charged with 3 runs on 7 hits and 3 walks, He struck out 7 in the win, which improved his record to 2-4. 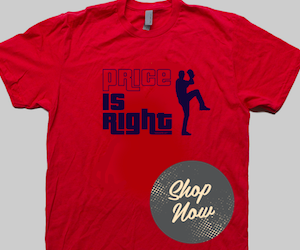 Koji Uehara picked up his 6th save of the year with a scoreless 9th inning.